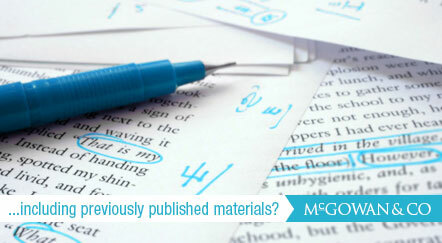 Have you used material—text or illustrations—that were published elsewhere? The new rules of Canadian copyright are quite explicit in that you must obtain permission to reproduce these materials. We will identify which copyright permissions are required, obtain the permissions, and prepare a permissions list (for inclusion in the back matter of a book, for example).